If you’re searching for an alternative to metal braces, Invisalign® is an excellent option to consider. 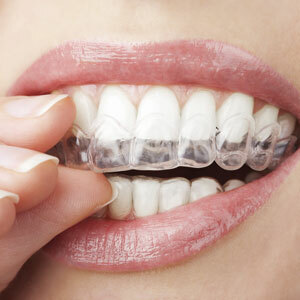 Made of BPA-free translucent materials, Invisalign orthodontics use removable plastic trays to guide teeth into proper alignment using advanced techniques that eliminate the need for fixed wires and brackets. Because Invisalign is customised to your unique oral anatomy, they provide a more comfortable treatment over traditional appliances. Using a 3D model of your mouth, Invisalign recreates a virtual model of your teeth and digitally maps out where each one needs to be moved. A series of aligners are created that you wear for two weeks at a time and changed out to progressively move the teeth into the desired position. Wear your aligners for a minimum of 22 hours per day, removing them only for cleaning and eating. You’ll visit Lightwood Dental for a quick follow up every 4-6 weeks to ensure things are moving along properly and to send you home with the next few sets of trays. Most of our Invisalign patients complete their orthodontic treatment in about 12 months. Find out if you’re a candidate for Invisalign, get a price quote and learn how long your specific case will take to treat. Contact us today to book a no-pressure consultation to get started. We’ll be happy to answer any questions that you might have! We’re even open late and on Saturdays to accommodate your work schedule.